(Saigon) Ho Chi Minh City is Vietnam’s largest city with a population in excess of 6 million people. The City is very much the heart of Vietnamese business and entrepreneurialism. Incomes here are typically twice that of Hanoi and the city’s skyline is rapidly changing, reflecting the sharp influx of foreign trade within the last decade. And yet for all this modernity the city still retains its connections to the past, particularly in Cho Lon, Saigon’s China town where dozens of elegant temples and pagodas can be seen. The history of city relates closely with the struggle for the independence and freedom of Vietnam. 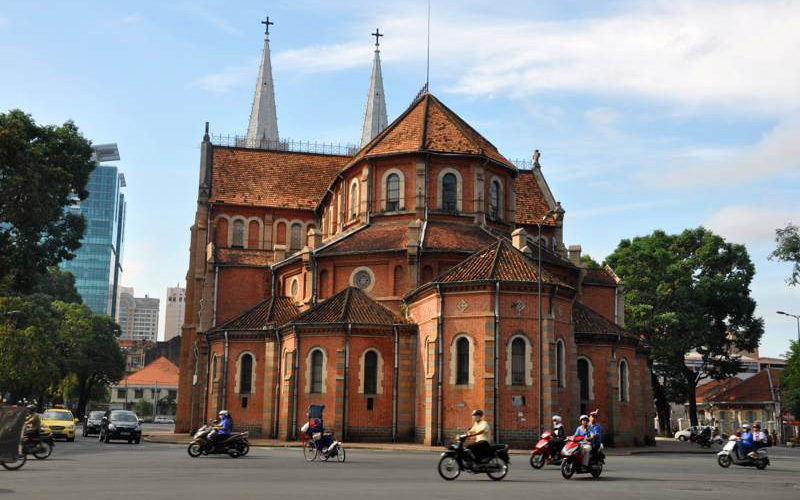 This city tour unravels Saigon’s turbulent past and also provides a glimpse into the fascinating variety the city has to offer. 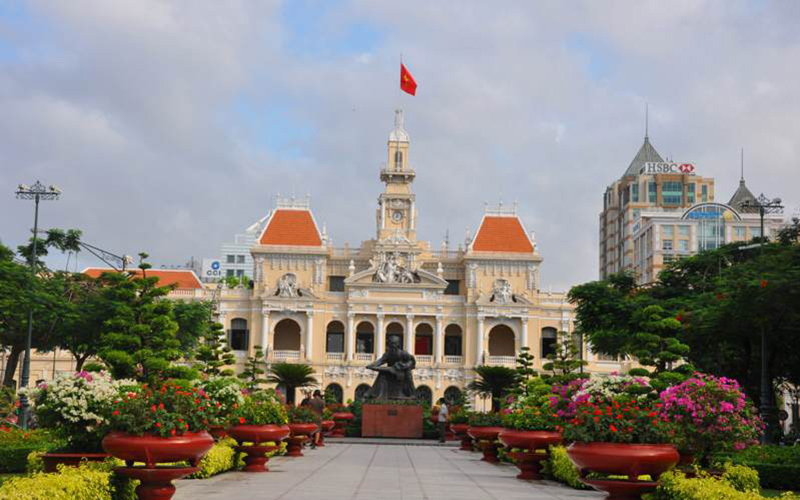 Ho Chi Minh City Tour – Day Trip start at 08:00AM with Green Discovery Indochinatour guide & driver pick –up at the lobby of your hotel, we depart the hotel for the Reunification Palace, the former Presidential Palace for the president of the South of Vietnam. After that we will visit War Remnant Museum, where we can see countless artifacts, photographs and pictures documenting about the second Indochina war. 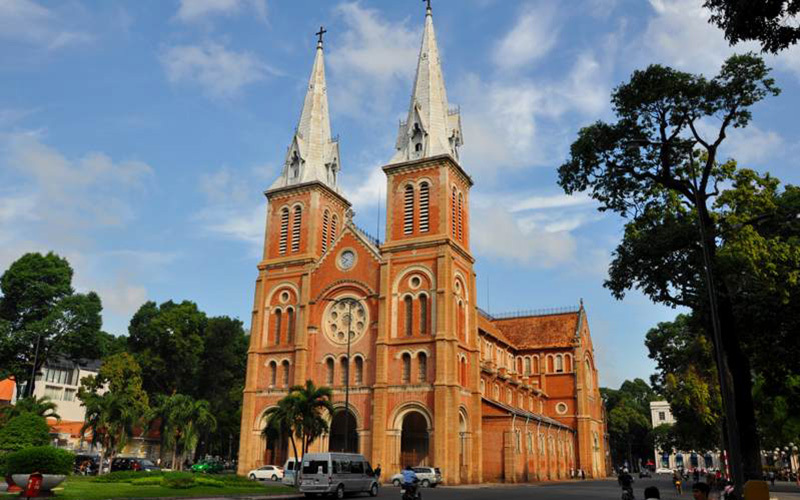 We also stop at Notre Dame Cathedral and Old Post office to get good shots for our memory of the big, modern city of Vietnam. Our delicious lunch will be served at a nice “Pho“restaurant in the central city. After lunch time; we continue our city tour with visits: Ben Thanh market, Cho Lon market. Here we can experience our Vietnamese Southern daily life. Then we will be back to hotel at around 05:30PM.